Leading Welcome Smiles into the future is Dr. Vivek Mehta. 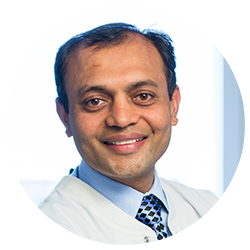 Dr. Mehta received his Doctor of Dental Medicine from Boston University Goldman School of Dentistry in 2002. He has been practicing at Welcome Smiles for nearly a decade, becoming a full partner in 2008 and owner in 2012. 2008 Fellowship, Misch International Implant Institute. He is also a 2015 candidate for Master of the Academy of General Dentistry (MAGD). Dr. Mehta has extensive training in replacing missing teeth with dental implants, is skilled in Endodontic treatment (root canals), and is a specialist in TMJ disorders. In addition to handling a wide array of dental services, Dr. Mehta fully embraces the old-fashioned dedication to patient comfort that has always defined Welcome Smiles, and, as a result, has set down local roots to continue serving Auburn-area dental patients with the caring touch they have come to expect.